A loan of $450 helped to buy thread and a winder machine for her thread- and shawl-weaving business. Gulnaz is a 50-year-old self-employed woman who lives with her husband and one daughter in Multan, Pakistan. Her husband is a worker in a factory. Gulnaz has a small thread- and shawl-weaving business. She has been doing this work for four years. She needs to purchase a winder machine for making thread and shawls of different designs for her clients but lacks sufficient funds. 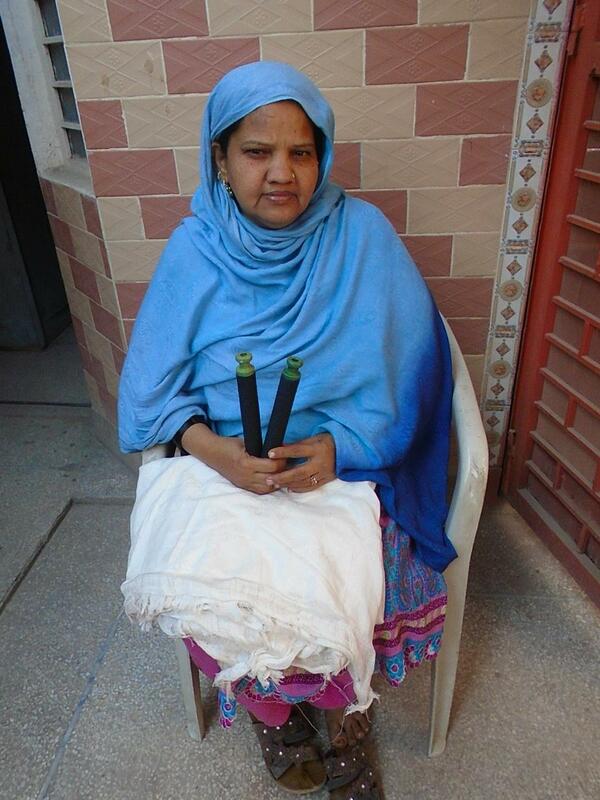 Therefore, Gulnaz has requested a loan through Kiva’s field partner BRAC Pakistan for her business. Through this loan, she can easily continue her business and can support her family. Gulnaz wishes for her daughter to have higher education in the future but it seems impossible with their current monthly income. She hopes that this loan will prove beneficial for her business and it will remove financial constraints from her family.